It's the blockbuster show of the summer, all about colour, making, materials. and the beloved master Matisse. Cass Art landed an exclusive tour around Henri Matisse: The Cut-Outs with Flavia Frigeri, Assistant Curator at the Tate, to get behind the scenes of the show. The artistic nature of humans is inherent to us all. We need to create things, on whatever level, but for some the need is stronger than most. And when the modern master Henri Matisse became too ill to paint, for example, he took up a pair of scissors and started to sculpt his cut-out masterpieces out of paper. The current Tate Modern exhibition is the most comprehensive exhibition in history that is solely dedicated to the artist’s paper cut-outs. Bringing together 130 of Matisse’s cut outs made between 1937 and 1954, it celebrates colour, innovation, and the final flourish of Matisse’s genius artistry. Highlighting the tension between finish and process, function and decoration, and reinforcing his unquenchable need to make art, the exhibition is a ground-breaking reassessment of Matisse’s fascination with form and colour. We asked Flavia about the cut-outs, the exhibition, and the place of material-based art-making in today’s art world. There are certain artists in history that continue to inspire people, time and time again, and Matisse is one of them. Why do you think his work is so accessible? His work is accessible because it’s based on one simple principle: colour. Colour surrounds us in our everyday life and Matisse's skillful combination of bold and contrasting colours remains unparalleled. Why was it important to focus on the cut-outs instead of showing a general retrospective of his work? 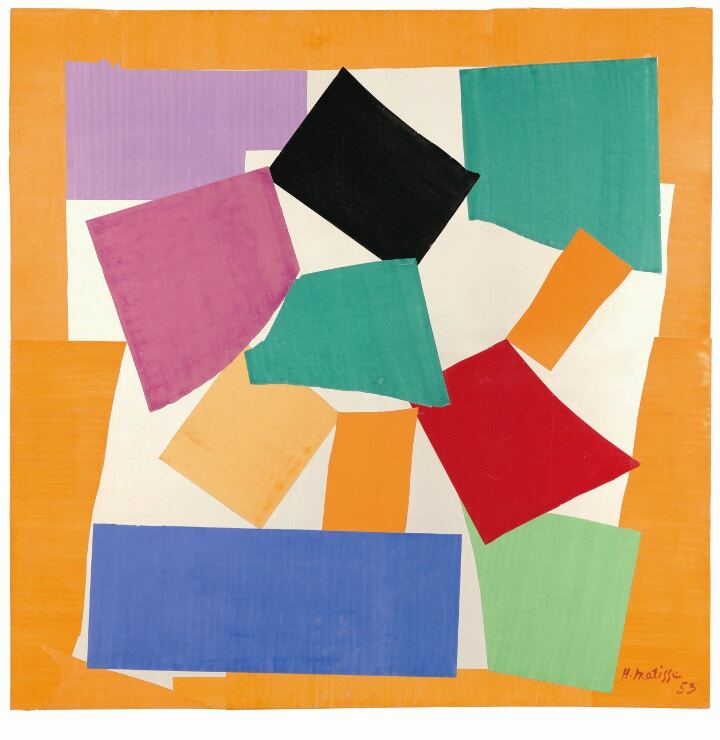 Over the years there have been many retrospectives dedicated to Matisse. However only a handful of shows have focused solely on the cut-outs, so it seemed timely for Tate Modern to devote an exhibition to the subject. This is in fact the most comprehensive exhibition to date looking at this body of work in detail. What kind of problems did you face when curating the show? When curating large shows of this kind there are always challenges. In this instance the biggest challenge was to secure works. These are in fact in many cases the most prized possessions of both public institutions and private individuals, but we were lucky enough to be able to count on the support of most lenders from the very start. The exhibition sees the largest number of Matisse’s Blue Nudes ever shown together – what do you think we can learn from seeing them all in one place? By seeing them together you can appreciate how he takes one theme - the female form - and develops it through subtle variations across four different works. In many ways although the four Blue Nudes lead independent lives they are to be understood as one single work, so this is a unique opportunity to see the full set. Which other major works are on show – and do you have a personal favourite? The show is filled with key works, the wonderful mural-like Parakeet and the Mermaid, and the twenty maquettes from the book Jazz, are two of the must-sees of the exhibition, but a personal favourite definitely remains Creole Dancer. It’s a wonderful dragonfly-like pirouetting ballerina that Matisse made in 1950. With Creole Dancer he conveys movement and rhythm through the most simple terms. 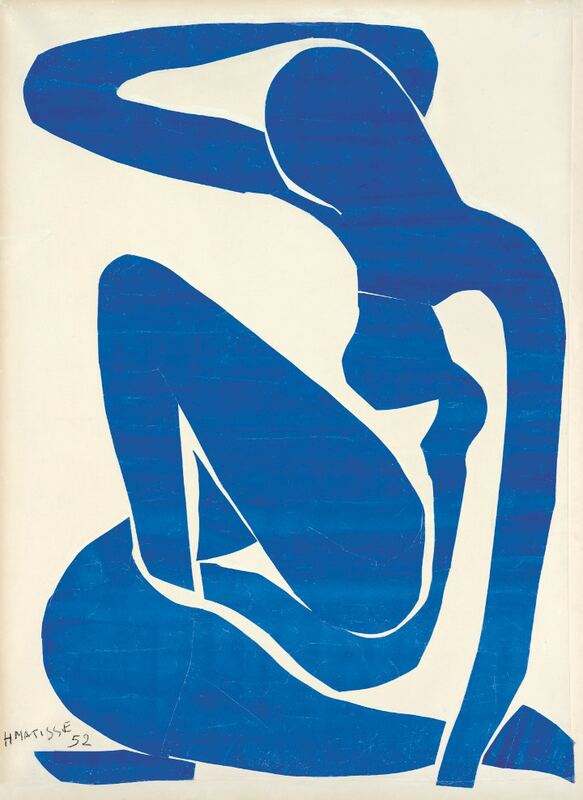 What do you think artists today can learn from Matisse and his cut-outs? I think artists can learn all sorts of lessons from Matisse, but maybe the biggest one is the power of reinventing himself at the end of his life. He in fact, rather bravely, decided to abandon painting, the technique he loved and was most well-known for. But in this way he invented a completely new medium with the cut-outs. In light of our digital age, do you think there is still a place for collage in art-making today? The cut-outs are technically not collages in that they don't use found material, but rely instead on purpose painted sheets of paper. But I think, like with all material-based art-making, there is definitely still a place for it in the digital age. In fact works of this kind provide an interesting counterpoint to the digitally-led activities of today. Interestingly many of those who have seen the exhibition have been inspired to make their own cut-outs after seeing the show. The exhibition has been curated by Nicholas Cullinan, Curator, Modern and Contemporary Art, The Metropolitan Museum of Art, New York; Nicholas Serota, Director with Flavia Frigeri, Assistant Curator, Tate and at the Museum of Modern Art, New York by Jodi Hauptman, Curator, Department of Drawings, and Karl Buchberg, Senior Conservator, with Samantha Friedman, Assistant Curator. 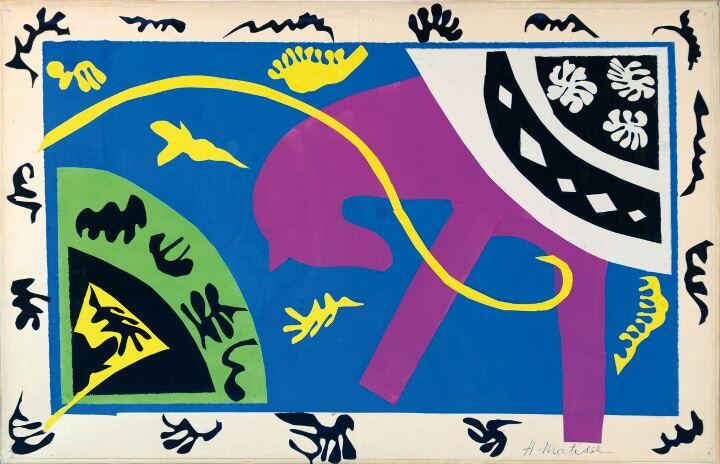 Henri Matisse: The Cut-Outs is showing until the 7th September 2014 at Tate Modern. Read more about the exhibition, opening times and ticket prices here.